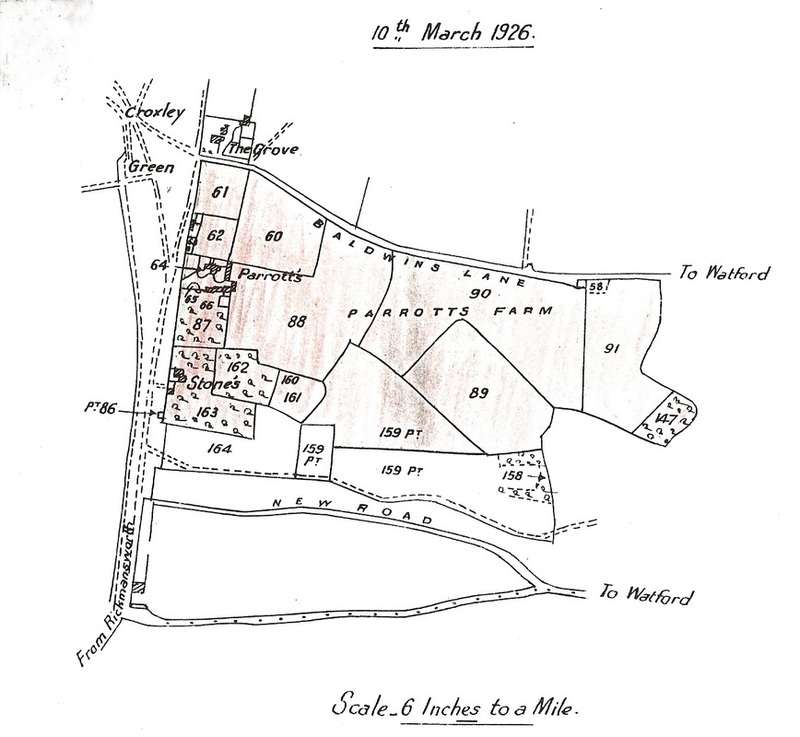 As well as purchasing the land for Croxley House, in1794 Humphrey Cornwall Woolrych purchased Parrotts Farm in 1799. The many tenants and owners who had previously held this land included members of the ‘Pairetts’ family. A succession of Woolrych family members included Humphrey Cornwall Woolrych in 1816, Humphry William Woolrych, Sergeant-at-law, and in 1871 William Richard Woolrych. 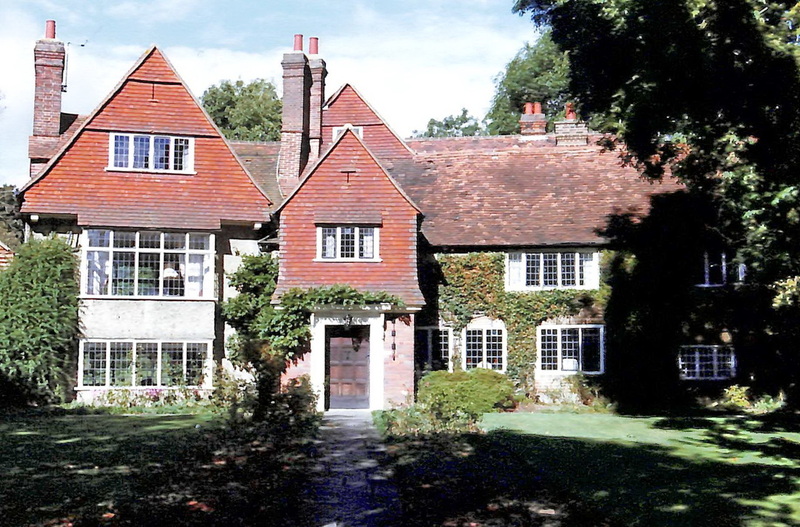 In the 1920’s the Woolrych family decided to leave Croxley House and move into Parrotts farmhouse close by. Croxley House was leased during the second World War to St Dunstan’s, accommodating approximately 20 service men who were blinded in action. 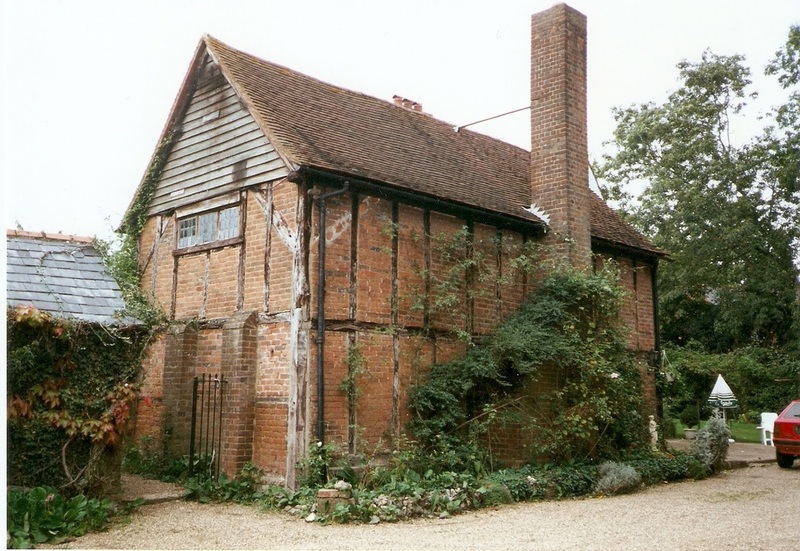 The lease expired in 1949 and the Women’s Royal Voluntary Service (WRVS) purchased the house and outbuildings for £7,500 the following year. After conversion and renovation it was opened in 1950 although an official opening took place in 1954. It is now a residential home for the elderly. The land abutting Parrotts Farm, situated on the south side of Baldwins Lane and extending towards New Road, was sold in 1934. Initially the roads were identified as Roads 1-4. The proposal was to build some 633 homes. Again several builders were involved creating various styles in each road. War interrupted the building and, although the footings were in place, several had to be completed in the 1950’s when materials were readily available again.